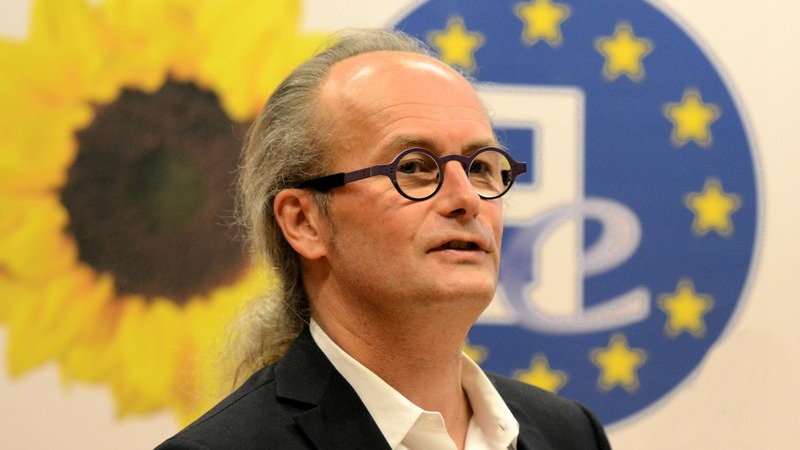 Claude Turmes, a firebrand Green MEP from Luxembourg, sharply criticised the European Commission for disregarding social aspects in energy efficiency and for failing to provide technical assistance for such projects. Speaking at a stakeholder workshop organised by euractiv.com on Wednesday (1 June), Turmes said the EU executive was “discrediting itself” for failing to match its declared ambitions with adequate financing, and by not being ambitious enough in setting energy efficiency targets for the post-2030 period. In October 2014, EU leaders agreed to decrease the bloc’s energy consumption by 27% by 2030, in comparison to 1990 levels, as part of the bloc’s climate and energy objectives. This target is to be reviewed by 2020, “having in mind an EU level of 30%”, according to the summit conclusions. “This Commission will be really discrediting itself, if [it] only intends to respond with a window-dressing called ‘Smart financing for smart buildings’,” Turmes said, stressing that the European Parliament had voted in favour of a much more ambitious package, worth €40 billion, to help EU countries reach their energy efficiency targets. According to the lawmaker, the Commission made the decision without thoroughly analysing monies that can be drawn from the so-called structural funds in support of the EU’s poorest regions. Energy efficiency financing could also be better linked to the European Fund for Strategic Investments (EFSI) ―the so-called Juncker Plan― and the existing European energy efficiency fund (EEF), which Turmes said could be upgraded. “If the Commission is not coming with something solid, you are discrediting yourself,” he repeated. There will be no €5 billion energy efficiency fund in the Junker Investment Plan, after the Socialists & Democrats struck a deal with the European People’s Party, the largest group in the European Parliament. According to Turmes, the executive is taking a very narrow view of the post-2030 energy efficiency goal, which disregards social aspects like health and job creation, and ignores the geopolitical objective of decreasing reliance on imported gas. He also slammed the Juncker Commission for having blocked the implementation of the Ecodesign Directive, in order not to upset British sensitivities ahead of the UK referendum. EU legislation on Ecodesign helps eliminate the least performing products from the market. “As an efficiency community, we should chase Juncker and Timmermans for continuing to block the eco-design list,” said Turmes, adding it was “unacceptable” that such a low-cost initiative with such a high market potential was stopped “for populist reasons”. 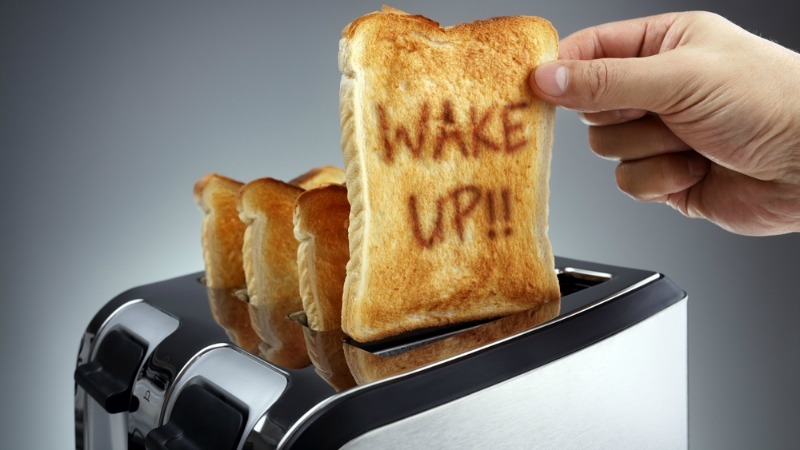 The EU has put plans to regulate inefficient kettles and toasters into cold storage amid fears in Brussels that they could galvanise support for the leave campaign in the UK’s 23 June referendum. Regarding the EFSI, Turmes said that Parliament had been “completely cheated” by the Commission on the issue of technical assistance. According to the MEP, the Commission promised €360 million, but there were only €20 million on the table. The pipeline of the European Investment Bank and of EFSI is empty because of a lack of technical assistance, Turmes argued. If the EU executive doesn’t do something about this by September, when the review of the Energy Efficiency Directive is expected, this will make him “very angry”, Turmes said. 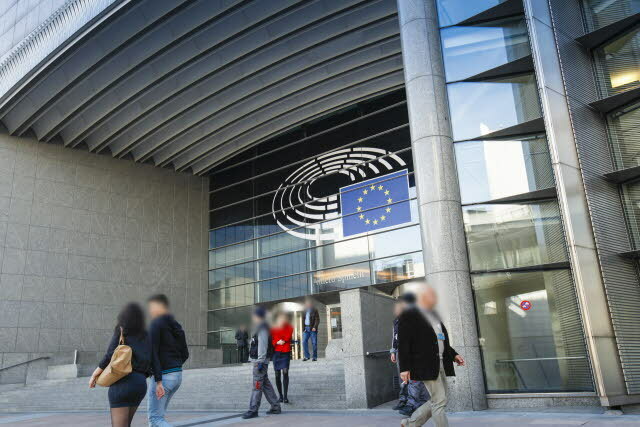 Paul Hodson, Head of Unit in charge of energy efficiency at the European Commission, rebuffed the criticism, saying the executive was interested in social aspects. The European Commission will issue a package of energy efficiency proposals “just after the summer”, whose aim will be to identify a European target that takes into account job creation, growth, gas import savings, as well as direct cost implications, he said. The package will also include a review of the Energy Efficiency Directive (EED), and an assessment of whether the Energy Performance of Buildings Directive (EPBD) is fit to achieve its objectives. Third, that consumers or companies have reliable information about the building or car they choose to intend to invest in. Regarding the post-2030 goal for energy efficiency, Hodson said the executive was exploring several options, “including very ambitious ones”. The first option is to look at the cost-benefit implication of a move to 27% energy efficiency, and what would happen in a less ambitious “business as usual” scenario. But the Commission will also look at the implications of a move to a 30% target for energy savings, and up to 33%, 35% and 40%, Hodson said. “Our impact assessment will contain data on the impact of all these things,” he stated, adding that an evaluation would be made of energy efficiency’s contribution to reducing emissions of greenhouse gases, in line with the United Natiion’s Paris Agreement to keep global warming below 2°C. Whatever the result of the European Commission’s analysis, the package will include a revision of the Energy Efficiency Directive, with an EU target for 2030, Hodson said. This proposal will then go through the normal co-decision process involving the European Parliament and EU member states who will have their say in the Council of Ministers. Hodson also made clear that the energy efficiency package “will not include binding targets for member states”, and that there would be no “root and branch” review of the EED or the EPBD. But what will certainly be in the review are ways to improve the availability of private finance, Hodson said, underlining that two-thirds of energy efficiency measures are currently self-financed. “Most improvements we make to our homes, we do it with our own money. We don’t borrow,” Hodson stated, adding that by developing an effective set of financial streams for energy efficiency, the level of ambition of the energy efficiency goal could be raised. The European Commission’s Energy Union chief Maroš Šefčovič is pushing for new public financing instruments to kick-start a wave of building renovation in Europe. EURACTIV also revealed the #EurActory40 ranking of most influential professionals on energy efficiency policy. Energy efficiency 2016: The year of delivery? The European Commission is preparing a make-or- break “year of delivery” on its flagship Energy Union strategy, with a steady stream of proposals expected in 2016. MEP Theresa Griffin (S&D, UK), argued that without EU funding, projects in her North West constituency would not have be possible. She said that energy efficiency was a key for better life for millions of households. She gave as an example a project for the most deprived communities in Mersey side to improve energy efficiency, which was made possible thanks to 40 million pounds from the European Regional Development Fund, and thanks to which 3.100 homes were renovated and 363 jobs were created. She said that for residents’ it had been a huge education exercise, explaining the benefits, also on their bills as consumers. 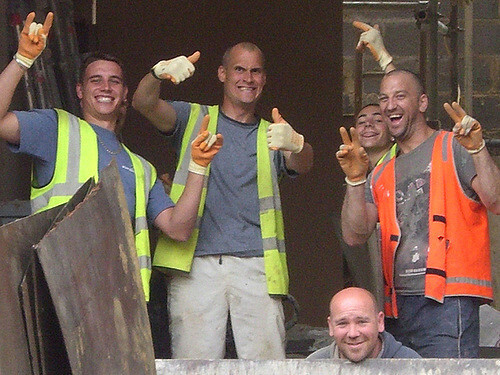 “Our local authorities said this project could not have happened without EU funding and would not have targeted the most in need. We need a strong EU framework on energy efficiency and an ambitious binding target which would enable more projects to flourish. EU investing in energy efficiency and offering a strong framework is also a way to reconnect directly with citizens and consumers”, she said. Susanne Dryboel, President of EuroAce, the European Alliance for Companies for Energy Efficiency, said that in her experience, over the last cities all over Europe were starting to take action in the energy efficiency field with much more ambition than the governments. She added that this was not only about the big cities such as London, Copenhagen or Stockholm, but also in small cities local politicians realised that can save a lot of money by renovating buildings. “But in order to engage the industry to help develop new solutions, we really need a clear and stable framework with a clear long-term vision”, she said, adding that market forces were “not enough” and EU legislation was needed to ensure the best possible results. Monica Frassoni, President of the EU Alliance to Save Energy said that the issue of local authorities had become very fashionable, but that she hasn’t seen yet the channel which would reach the mayors with EU institutions. If this would be achieved, this could become a real game changer, she said. Julian Popov, representing the European Climate Foundation, said that the largest energy efficiency saving potential was in Central and Eastern Europe. He said that if a solution to improve energy efficiency and housing stock efficiency for the new member states is found, this could be a key to unlock the largest energy saving potential, which is in Ukraine, Uzbekistan and other countries which could have a massive global effect. He said that the Czech Republic in 2010 transformed €1 billon of ETS emissions in one billion euro for energy efficiency. But he added that the minister who initiated this lost his job and today “nobody remembers that fantastic story”, which in his words should have been studied and replicated. The Bulgarian government last year borrowed half a billion euro for building renovation, Popov said, adding that this was not EU funds, but money borrowed from the banks. To the scale of the UK, it would be like London borrowing €50 billion, he said. And now the program is continuing by borrowing another half of billion. Brook Riley, representing Friends of Europe, said that increase energy efficiency from 27% to 30% means 10 million homes renovated, 20 million people out of energy poverty, which means eradicating one third of this category in Europe. He lamented that “some people in the Commission” prefer big infrastructure projects, rather than energy efficiency, which is “harder to sell”. He also deplored that the energy efficiency team at the European Investment Bank was “drastically understaffed”.